Protein is an extremely important component to our diets, affecting things like muscle synthesis, metabolic rate, and satiety. I work with a lot of clients who worry that they don’t get enough protein, but surprisingly, I find that most people actually get more protein than they think. While protein intake can become a concern for certain populations, or during certain periods of life (for example, during pregnancy or for a vegan/vegetarian), the typical American diet often provides more than enough of what most people need on the average day. What most people don’t realize is that protein comes in many different packages, including vegetables. So, they wind up getting more than expected when we start to factor that in. As it turns out, that nagging you’ve heard all of your life to eat more vegetables actually might have even more truth to it than you realized! 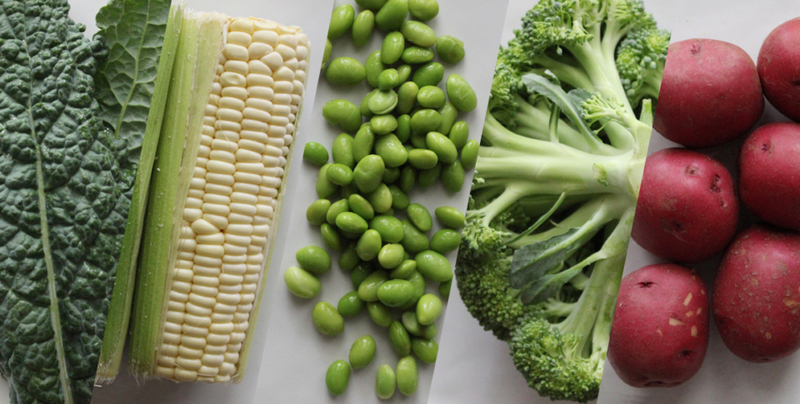 Some of my favorite higher-protein vegetables and plant-based foods include: potatoes, corn, edamame, and dark leafy green vegetables like kale or broccoli. I got to talk to Prevention Magazine recently about some of these foods, why they are a good choice to add a little protein boost to the diet, and how to use them in meals throughout the day. Next time you are trying to add more protein to your diet, think beyond the beef and protein powders, take a good look at everything you are eating, and consider where you might be able to get some added benefit from plant-based sources.